Over Christmas we received the sad news that our friend and fellow Trustee, Vivienne Davies had unexpectedly passed away. We send our thoughts and condolences to her family. We hope those of you who knew her will be able to attend. 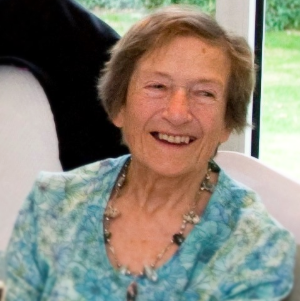 Viv had been an active volunteer and supporter of Emsworth Community Centre since it started back in the mid-1970s and held the position of Chair of Emsworth Community Association for several years. She was greatly respected by many, especially the late Mrs Helen Barnard MBE, for her commitment to supporting the local community. Viv’s dedication was most visible to the public as she led the annual Children’s Pet Show. More recently Viv helped to keep the fabric of the building in good condition and Chaired the Buildings & Fabric Committee. She will be greatly missed, both as a friend and as a fellow Trustee. Helen was President of the Emsworth Community Association (ECA) for 20 years and was then elected ‘Life Vice President’. During this time Emsworth Community Centre expanded in size and the variety and number of activities increased. The momentum that Helen and others managed to generate then has ensured that the Centre continues to flourish today. Helen received a MBE in recognition of her services to the Community. Helen was a member of a steering group set up in 1974 to explore whether a Community Centre could be established in the St James Church School premises in Church Path. The school was about to be moved to their new site off the Horndean Road. Sufficient progress was made for a public meeting in June 1975 to adopt a constitution, enrol members and set up the Council of Management of the ECA. Helen was elected as President of the Council. Her force of personality and drive ensured that the separate groups and activities, many of which she had started herself, worked well together creating a wide range of activities available at the Centre. Helen leaves two sons, one of whom – Will – is currently a Trustee of the Association. Our thoughts are with her family. Her funeral is on Friday 12th October at 12.15pm, at St Thomas a Becket Church, Warblington. As you can see the restored Assembly Room is looking lovely again. The flooring has been completely replaced and lots of work has been done on the drainage behind the scenes to dry out the building and prevent the damp coming back. Once the walls are dry we will give them a fresh coat of paint. Over the bank holiday the builders removed the Gents toilet from reception thus creating a corridor which joins both wings of the building together properly. This means that you can now walk from one end of the Community Centre to the other without having to go outside. Refurbishment of the Gents and Ladies toilets has commenced and works to the ECA Office start mid-November, during which time the Office will be relocated to the Computer Room. Then to complete the fresh look, new vinyl flooring will be laid throughout the main corridors and the main areas will be redecorated. Volunteers and staff at Emsworth Community Centre recently received training in life saving skills and the use of a defibrillator that has been donated to the Centre. Emsworth Community Centre is a busy and vibrant place that attracts a large number of users, many of whom are involved in physical activity or who are retired. So the Community Centre was delighted to receive the gift of a defibrillator, equipment that can help save lives, from the Friends of Emsworth Community Health (formerly the Friends of Emsworth Hospital). Emsworth Community Centre has been recently rated as “outstanding,” in a recent audit by Visible Communities, the independent organisation which evaluates and monitors quality systems and standards for the charity and community sector. Trisha went on to add; “Equalities is another area that it takes seriously…with excellent health and safety evidence…where safeguarding is clearly a priority. In conclusion an excellent review, which it has been a pleasure to do.” said Trisha. Alison Angell, from Hampshire County Council, said; “I must congratulate Emsworth Community Association for an excellent report – the best I have seen so far”. Mike Stott, Chairman of Emsworth Community Association, the local charity that manages Emsworth Community Centre commented: “We’re thrilled to have received such a high accolade, which is a testament to the dedication of our volunteers and staff, who work tirelessly to make the Centre a place for everyone to benefit from. Hampshire County Council informed Emsworth Community Association (ECA) on Wednesday 10th June 2015, that they had decided not to proceed with the proposed move of the library to the ECA building. It was an idea originally floated by Hampshire County Council and, although there was initial reluctance on the part of ECA, we decided to fully support the move in the long term interests of our members and the wider Emsworth community. We have undertaken a considerable amount of work in trying to fit the requirements of a modern library into the Community Centre and we were hopeful that all this work would have resulted in a successful transfer of the library to our building. It was therefore a shock for us to learn that, as a result of costs associated with the move, Hampshire County Council no longer consider Emsworth Community Centre a viable option. This is a set back to the Association and our plans to make the Centre a hub for advice, knowledge, culture and leisure. Needless to say, along with most Emsworthians, we want a modern functioning library to remain in Emsworth and we will work with Hampshire County Council to ensure that this happens. If you wish to view Hampshire County Council’s statement please click here. Update on the current situation regarding future developments at Emsworth Community Centre. Trustees of Emsworth Community Centre are negotiating with Hampshire County Council (HCC) regarding our proposed building works. Members and regular users of the Community Centre have already been consulted as to what improvements they want and their views, where possible, have been included in the draft plans. We are now taking the opportunity to consult more widely and asking all Emsworth residents for their views on the proposals and any activities they would like the Centre to provide. This means that you still have time to feed into our building plans before they’re finalised. If you haven’t already done so, please do take a moment to complete the online questionnaire by clicking here. Alternatively, if you prefer a hardcopy questionnaire to complete, you’ll find them available at the Community Centre or in the Library, as well as in the current edition of The EMS. Completed questionnaire forms can be returned to the Library or to the Community Centre. All named questionnaires will automatically go into our prize draw to win one of five shopping vouchers worth £30 each. Questionnaires should be completed and returned by Friday 8th May 2015. Plans to improve the Community Centre are being drawn up by H.D. Architects of Emsworth, and these will eventually go to HCC for approval. It had been hoped that work would start during the coming summer, but this is now unlikely as the consultation, collection of detailed information and funding need to be firmed up before building work can proceed. With regard to the proposed move of the library to the Community Centre, negotiations with HCC are still ongoing and no date has as yet been decided. The trustees aim to see Emsworth Community Centre as a hub offering a wide range of advice, information and activities available to all the residents of Emsworth. Further information on the building work will be provided via email and in editions of The EMS and on the website. Through these means, Community Centre members, regular users and Emsworth residents will be kept fully informed on time lines for the building work and its likely impact on activities at the Centre. Following a recommendation from Hampshire County Council’s Director of Culture, Communities and Business Services, the decision to move Emsworth library to the Emsworth Community Centre was confirmed by Hampshire County Council on 19th January 2015. The record of the decision is given below. The position of the trustees of Emsworth Community Association is that, in order to ensure the future of the library, we hope to be able to agree to site it in the Lounge and half of the Assembly Room. The library will use this space for the time it is normally open, that is 6 mornings, 2 afternoons and Friday evenings. At other times, the space will be available for user groups as library equipment (apart from book shelves along the walls) will be moveable and stored elsewhere. Whilst we are negotiating with Hampshire County Council, the sustainability of the Emsworth Community Association and the needs of our members and user groups remain the trustees’ top priorities. If, or hopefully when, we reach satisfactory terms with Hampshire County Council, we will be able to confirm the library move to members and users of ECA as well as to local residents. In addition to, and independent of, the proposed library move, the trustees hope to start work in the summer of 2015 on improving the premises and facilities of the Community Centre. We will keep members and users informed of plans and progress via the website and regular bulletins on our notice boards. An update on the current situation regarding co-location of the library and upgrade of the Community Centre was given by Jean Tier, the trustee managing the initial phase of the project, at the recent members’ and helpers’ social event. The update is reproduced below for the benefit of those who were unable to attend the evening. It is very unlikely that Hampshire County Council will renew lease on Nile Street in 2018 and it has become clear to our committee that if we do not provide space for the library in the community centre, there will probably be no library at all in Emsworth after 2018. The library is likely to be sited in the lounge and half of the assembly room with book shelves round the walls and some shelves on wheels in the middle. Opening hours are likely to be the same as now: 6 mornings, 2 afternoons and one evening. Community Centre users will be able to use the space at other times: i.e. Sunday morning, 5 afternoons and 6 evenings, with the wheeled shelving moving into the lounge or store room. A new, sound proof partition and new door into the library will be provided so groups using the east half of the assembly rooms will not be disturbed. In addition, HCC has offered to install windows in the Mountford rooms in order to make these more attractive for us and the trustees are happy to accept this offer. It seems likely that Cllr Chapman will recommend moving the library to the community centre at his decision day on 19th January, subject to satisfactory outcome of our ongoing negotiations. As I am sure members know, ECA was successful in achieving £100,000 from HCC to upgrade the premises. On this aspect, we are now moving into the action phase. ECA trustees have appointed an architect, Helyer Davies of Emsworth, who undertook the initial feasibility study. By the end of January we expect also to have appointed a surveyor and a project manager. We expect to have detailed costs and drawings within a few weeks and to start the building work as soon as possible – hopefully during the summer. The upgrade will provide new offices and toilets, enlarge the reception area and create a new entrance porch joining the old and new parts of the premises. And none of this depends on decisions about the library. The cost will be considerably more that the £100,000 we have. We expect to raise much of this extra money from large scale providers such as the lottery. But we will also need to fund raise locally and will be starting this in the near future. Emsworth Community Association are delighted to have received a donation of ten new Kenwood kettles from Kenwood Ltd of New Lane in Havant. “It is simply great that users of the Community Centre, can now brew-up on for a tea break and enjoy socialising with each other without worrying about whether the kettles will work or leak as they pour. It is also good to be supported by a local trusted brand that will ensure that our users are safe and won’t have to deal with a bad pouring kettles anymore.” Says Rachael Bridger of Emsworth Community Centre. Children from Glenwood School, were the first group to use the new kettles to serve teas and coffees at their ‘pop-up’ café on Tuesday afternoons. “It is great boost for the children’s confidence to get real work experience whilst serving teas and coffees and to have access to the new kettles makes the job a lot easier for them.” Says Sue Woodhouse, Co-ordinator of Work Related Learning at Glenwood School. You may be concerned at new plans for developing Emsworth Community Centre which include the possibility of moving Emsworth Library to our premises. I write to let you know the current situation as we see it. Perhaps you have already seen the leaflet, “A New Location for Emsworth Library?” produced by Hampshire County Council. In it, HCC outline their reasons for asking Emsworth Community Association to consider sharing our premises with the library. The current location of the library, though convenient for users, is expensive to rent and HCC needs to make large savings – the library service budget has already been cut by £3 million and more cuts are on the way. For some time Emsworth library staff have sought alternative premises but have not found anywhere central and suitable. With new technology, libraries are changing and location within a community centre is an option which works well in other areas. ECA leases our premises from HCC who, earlier this year, awarded us £100,000 to upgrade the buildings. We also asked for a rent review which has resulted in HCC seeking to transfer the premises to our ownership. So currently, the ECA committee is negotiating with HCC on three topics: upgrade of the premises, inclusion of the library and transfer of ownership. We did not seek the library move but, as HCC owns the ECA premises, we have no option but to see if we can make it work. We have some doubts about whether the space which we are able to make available, will adequately accommodate the library and community centre, both of which are heavily used. The plan shown on the HCC consultation document is preliminary and changes are certain to be made during and after the consultation period. The ECA Council of Management will seek to ensure that the appropriate needs and wishes of its members and user-groups are met as a first priority. To view HCC’s proposals in detail please click on this link. Printed copies of the proposal are available from the Community Centre and from Emsworth Library. Please send your comments direct to the library. If you wish to write or email ECA separately, please do so. Please note that during the summer holidays, the office will only be open on Mondays and Wednesdays but you can post comments through the letter box in the Church Path door. I wish to stress that our negotiations with HCC are at a preliminary stage but I hope that this letter provides you with assurance that we intend to maintain our vibrant community centre in the heart of Emsworth. Finally, please note that the future plans for Emsworth Community Centre will come before a Special General Meeting of the Association at which all people who use the community centre and are also members of the Association will have a vote. Piano kindly donated by Mrs and Mrs Joyce (left) with Emsworth Community Association Chairman Mike Stott. Mr Alan and Mrs Francis Joyce have generously donated their superb piano to Emsworth Community Centre. The Zender upright piano has a great tone that resonates well in larger spaces, so it has been given pride of place in the Lumley Room, where it is played regularly by the various musical, social and dance groups who appreciate having lovely piano music to accompany them. Hampshire County Council’s Executive Member for Culture, Recreation and Countryside, Councillor Keith Chapman, said: “As we continue to move the County’s Library and Information Service into a strong position for the future, we want to move away from having libraries in stand alone buildings and relocate them into vibrant community hubs where appropriate. Officers have identified a potential opportunity for relocating Emsworth Library to the Community Association building in North Street, Emsworth. These are just preliminary investigations we want to explore. Emsworth Community Association is happy to work with Hampshire County Council to ensure that, at a time when many libraries are closing, there will continue to be a library in the heart of Emsworth. The management committee had anticipated starting building work to improve the Community Centre this summer but this will now be put on hold until a decision regarding the library is made. Emsworth Community Centre are delighted to announce that Hampshire County Council have awarded the Association with £100,000 towards upgrading the premises to meet the future needs of the local community. The Association will use this funding to apply for additional grants to meet the total value of the buildings work required.